My ninth ground of 2017 was on Thursday 13th April at Scotchman Road in Bradford, West Yorkshire. 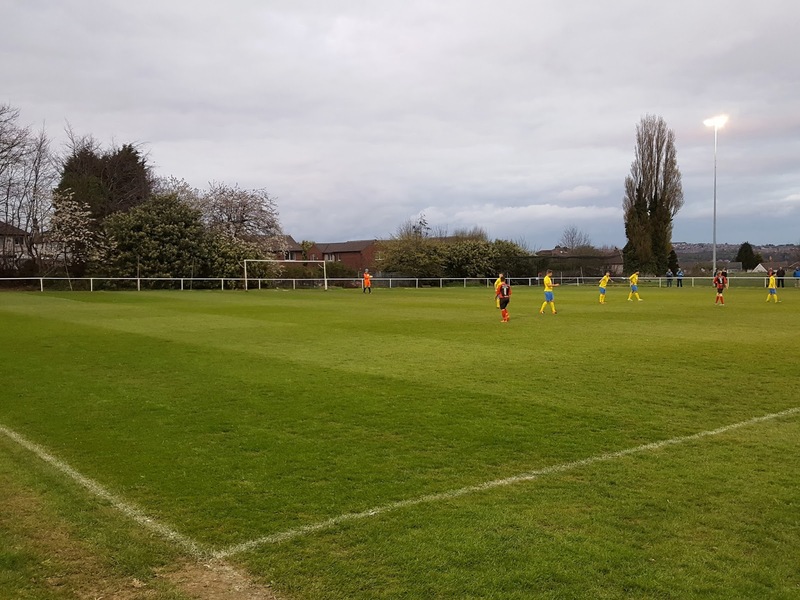 The match was Campion vs. Dronfield Town in Northern Counties East League Division One. Scotchman Road is in the Manningham area of Bradford in the north-west of the city. The ground borders a primary school to the west and to the south there is another primary school as well as houses and a patch of allotments. There is more housing to the north of the ground and a cricket pitch to the east. The venue is 1.5 miles west of Frizinghall railway station. The western side has the only stand in the ground - this consists of a slightly raised concrete platform which runs from near the southern end to just beyond the half-way line. Most of this is covered but the area by the half-way line has no roof. In this stand there are 31 seats on the raised concrete section and 22 seats in front of this giving a total of 53. The remaining half of this side is uncovered standing behind the barrier next to the pitch. The northern and eastern side are both uncovered standing areas and due to the cricket pitch behind the eastern side has plenty of room behind the field to watch from. The southern end has a walkway behind the goal for spectators though this is thin due to the car park behind. 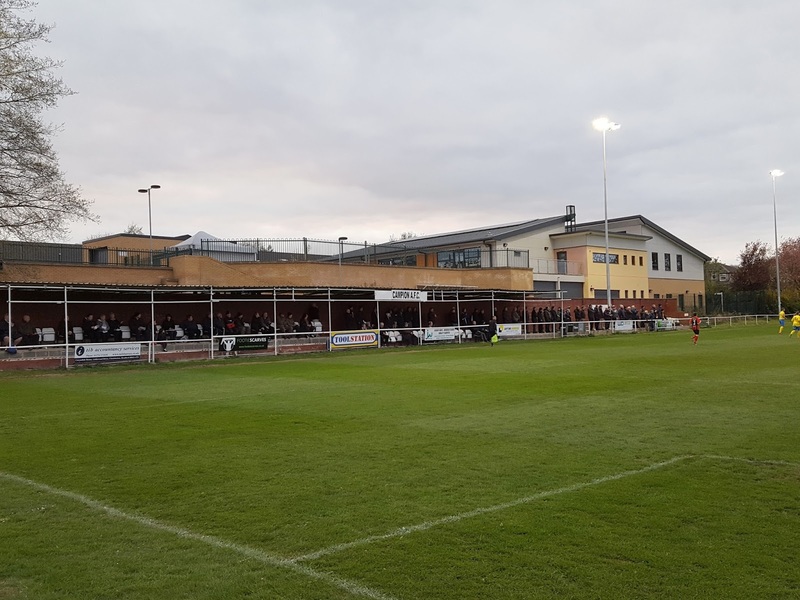 The community centre is just to the right of the goal and this contains dressing rooms on the lower level and a bar looking out over the pitch on the upper level. This gives a very good view of the action so plenty of people were watching the game from here. The first half was bereft of chances as both sides cancelled each other out. 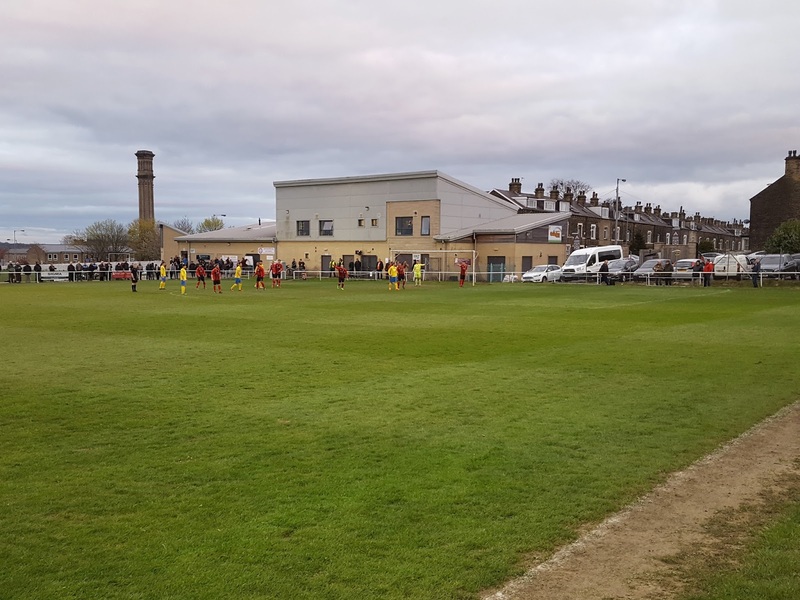 The two were largely limited to speculative efforts which failed to trouble either goalkeeper with the only chance of note coming in the 10th minute when Campion's keeper came out on top of a one-on-one with a Dronfield attacker. This all changed just 40 seconds into the 2nd half when Dronfield's Danny Wood picked up the ball 25 yards out, turned and unleashed a spectacular shot into top corner. Straight from the kick-off the ball ended up back in Dronfield's box and when Eli Hey was tripped it allowed the hosts a fantastic chance to level things up again. Jason Davis stepped up and smashed the penalty low past the keeper. In the 70th minute Dronfield gifted Campion a goal when a mix-up saw two of their defenders go for the ball in the area at the same time. They managed only to deflect the ball into the patch of Daniel Cunningham who shot low into the corner from 6 yards out. In the 76th minute Campion stretched their advantage when a throw-in on the right went to Ben Kendall who controlled the ball, advanced into the area and produced an excellent curled shot into the corner of the net from 15 yards. The scoring was rounded off in the 86th minute when Eli Hey picked up ball 30 yards from goal, ran to the edge of the box and shot low towards goal. As it was going through it took a deflection and scooped past the helpless keeper into the bottom of the net. 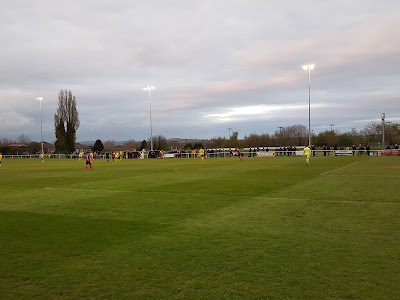 The game was very much one-way traffic in the final 20 minutes but the 4-1 scoreline was a little harsh on Dronfield who had matched Campion up until this point.